But there is another prize in Beijing’s sights, an artery that runs straight through mainland Southeast Asia. The mighty Mekong River, which starts in China (known there as Lancang), and connects Myanmar, Thailand, Laos, Vietnam, and Cambodia, is a crucial lifeline that nourishes some 60 million people along its banks. Control of both the South China Sea and Mekong River will strategically sandwich mainland Southeast Asia. Indeed, Beijing’s control of Southeast Asian rivers looks set to be the other half of its “salami slicing” strategy in the region. Controlling the Mekong River’s flow with dams along the waterway ultimately means controlling access to food, and therefore the livelihoods of tens of millions of people in downstream riparian communities. Of the hydroelectricity dams on the Mekong, the vast majority of currently installed capacity (megawatts) is in China, accounting for more than 15,000 MW. This includes a half-dozen mega-dams over 1000 MW, including Nuozhadu dam which churns out 5850 MW. Together these dams can hold back 23 billion cubic metres of water, or 27% of the river’s annual flow between China and Thailand. 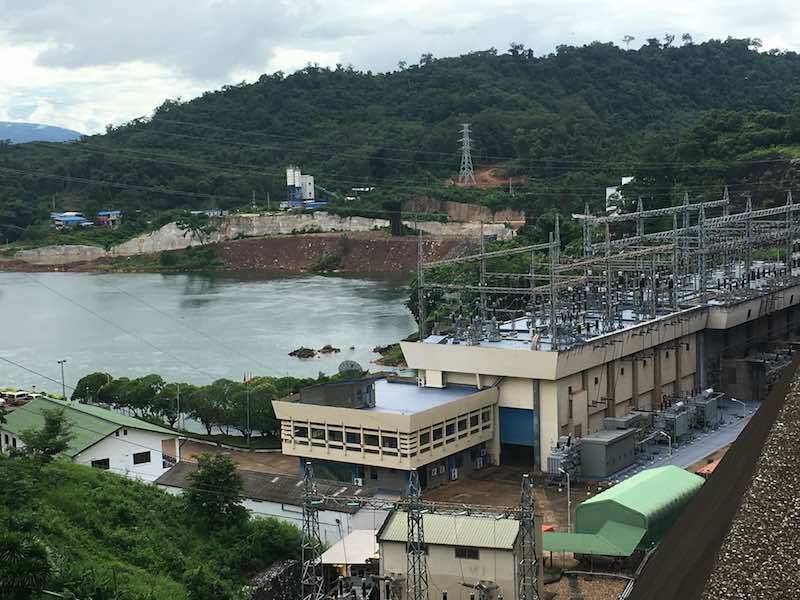 Other dams in the lower Mekong are piddling by comparison, with generating capacity in the tens or low hundreds of MW. The bottom line: Chinese dams can now regulate the Mekong’s flow. This is even more pronounced in the dry season when the Tibetan Plateau contributes between 40 and 70% of the river’s flow. The impact on food and livelihoods is dramatic now, but could soon be far worse if 11 proposed mega-dams, half with some Chinese involvement, go ahead. A recent UNESCO and Stockholm Environment Institute report suggests sediment flows in the river could reduce by up to 94% if the proposed dams go ahead, significantly affecting fish catches and overall river health. This will directly affect downstream riparian communities. More worryingly, the raison d’être of the proposed dams and oft-cited promise of a crucial electricity boost for the economies of the lower Mekong has been found to be misguided. Many of the proposed lower Mekong dams will export their energy to China, and others will have direct negative impacts on the economy. It is projected that over the next 50 years, the cost for the lower Mekong basin economy will be a net negative $7.3 billion, with Vietnam and Cambodia the worst off. The social costs could be just as astronomical. During a recent trip to Laos, I encountered concerns about Chinese dams being used as strategic levers, producing unannounced upstream releases of water that impact not only communities but also new downstream dams. In such a case, the downstream dams would need to immediately release water through the spillway, at best resulting in the loss of valuable generating capacity, potentially impacting electricity supply, and at worst flooding downstream villages or damaging the integrity of the dam wall. Already many of the dams on the tributaries of the Mekong are uninformed of upstream releases in the Mekong proper, potentially affecting their own release of water by creating a flood surge when the released waters converge. 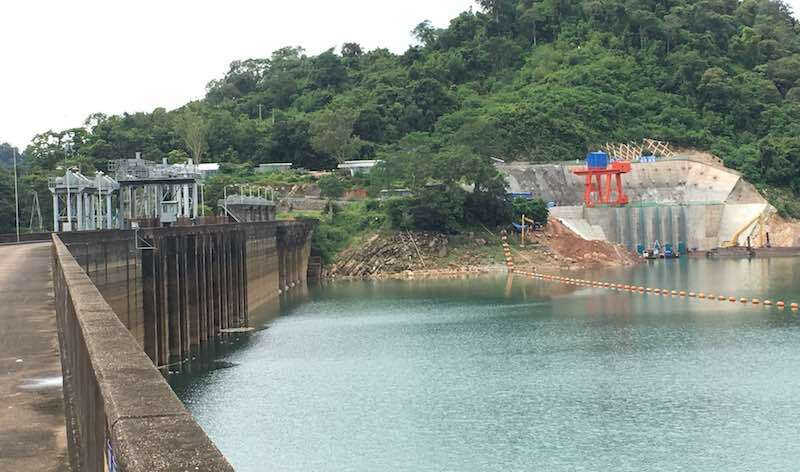 One of the operators of a joint venture dam in Laos confided that there was often little or no forewarning when water from a Chinese-built upstream dam was released. Many of these dams are Southeast Asian state–owned or involve European firms, which could further complicate matters if an incident occurred. Indeed, the release of unscheduled upstream water by Chinese-owned dams could be used to engineer a public protest against the downstream dam’s parent company. That is concerning because it turns dams into dominoes, with China at first fall. Dams without water, or without sufficient water in their reservoirs, also disrupt economies as they are unable to supply expected electricity output. With upstream Chinese firms controlling the Mekong’s flow, it has suffered drought-like conditions attributed to the irregular flow of the river itself. Salinisation of the Mekong at its mouth in Vietnam is one example; soil erosion across the river system is another. It’s a huge problem for those that rely on the river – the Mekong Delta in Vietnam alone produces 40% of the country’s rice and much of the basin’s protein. A much-overlooked and further source of strength in China’s control of the river system, as well as river systems across the subcontinent, is the cloud seeding project named Tianhe. The project’s stated objective is to increase rainfall by 10 billion cubic metres – 7% of China’s current consumption – over the Tibetan Plateau that feeds into key transboundary rivers, including the Mekong, Brahmaputra, Indus, and Salween. The project, part of the broader artificial weather project, would seed rain to fall over the plateau and into the catchments of these rivers. This water would then be regulated by Chinese dams (see this comprehensive map), or could be redirected domestically. But as Carnegie Council’s Janos Pasztor notes, the seeding doesn’t produce rain, “it makes it happen somewhere, which means that it will not happen somewhere else”. Controlling the weather and ensuring rain falls within China is the next step to controlling water flows to neighbouring countries. In part, this is worrying because China’s current record of natural resource management is far from stellar: some 70% of rivers and lakes in China are polluted. Moreover, the potential control of rainfall creates further problems. In good times it encourages countries to build electricity-generating dams, and in bad could mean downstream drought and a full-scale weaponisation of water. (An excellent anecdote on this is here). Dams and rainfall are only one part of the equation. In contrast with its islands-building in the South China Sea, China has embarked on a “Mekong River Navigation Channel Improvement Project” that involves blasting islets, rapids, and rocks in the Mekong River to create a shipping lane through the heart of mainland Southeast Asia to Laos. The environmental and social damages, as well as a new highway for the import of Chinese products, are expected to have a net negative impact on Southeast Asian economies. As such, Bangkok is yet to yield to the project on the Thai segment of the river. Given the current assertiveness of Beijing’s foreign policy, in the event of war this inland maritime highway would become a strategic nightmare. This, alongside the negative economic outlook for the region, provides worrying prospects for future sovereignty in mainland Southeast Asia. Unsurprisingly, Southeast Asian states and other concerned parties have long tried to bring China to the table to establish appropriate rules for cooperation. The Mekong River Commission, established in 1995, aimed to do just that. Beijing dragged its feet, frustrating the cooperative body where it could. In 2016, in line with Beijing’s current my-way-or-the-highway style of diplomacy, it launched its own group. The Lancang-Mekong Cooperation has bullied states into working together. As a carrot for Southeast Asian states’ participation in the first LMC in March 2016, Beijing released water to drought-stricken downstream countries. The threat was implicit: China controls the river. This notion is the antecedent to conflict, not cooperation. These concerns over the Mekong and other rivers, and their place in China’s geopolitical strategy, are not new (see some excellent long-form reading here, here, and here). But today we seem to be at a tipping point, to which the region must respond. Southeast Asian states, which are all set to lose, must find greater unity among themselves. European partners in Mekong River dams should explore alternative projects to supply energy. Others, such as Australia, must move away from the cavalier “Xi’ll be right mate” attitude, and with a concert of fair-minded friends support new energy alternatives and sustainability initiatives to boost resilience in mainland Southeast Asia. China’s growing control over the Mekong is a crucial component of immobilising sovereignty in mainland Southeast Asia. It must be appropriately addressed and discouraged. Previous articleShould Mahathir Mohamad’s Malaysia election win worry Chinese investors in Johor’s Forest City?